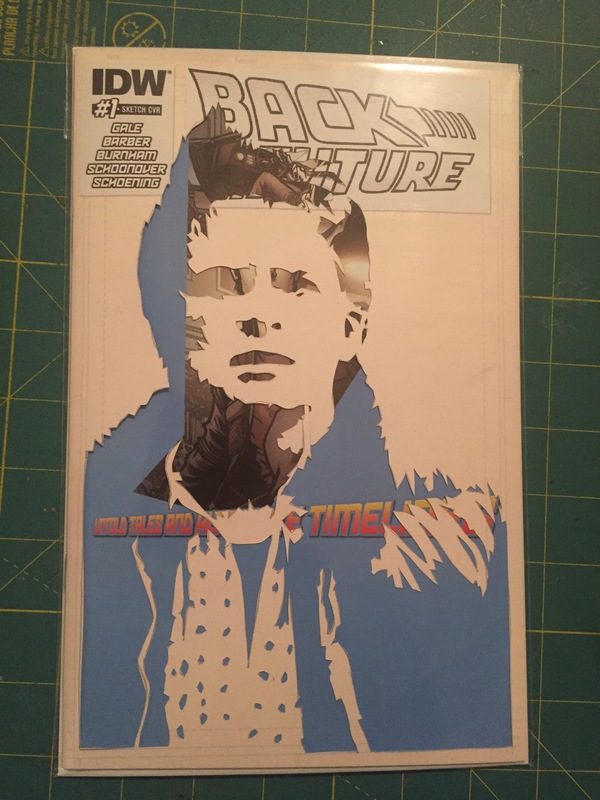 Back to the Future hand cut blank variant. ‘Course it does. Why shouldn’t it? Ya figure you put that little box under your pillow at night, the Guarantee Fairy might come by and leave a quarter, am I right, Ted? 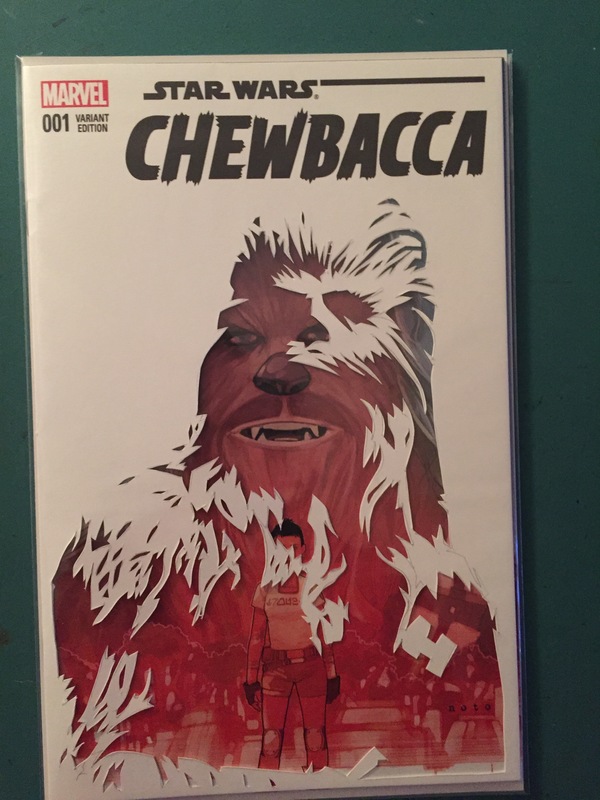 Chewbacca hand cut blank variant. Little hand says it’s time to rock and roll. 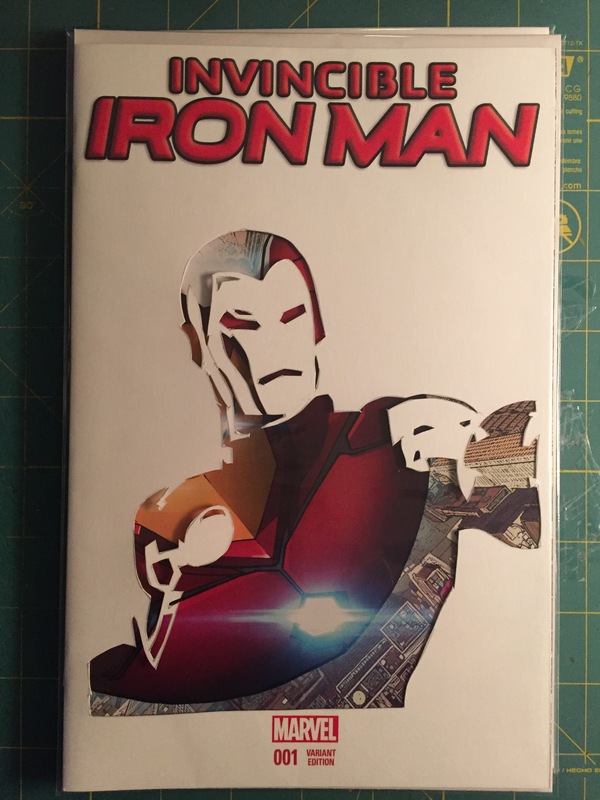 Hand cut Invincible Iron Man blank variant. Symmetrical book stacking. Just like the Philadelphia mass turbulence of 1947. 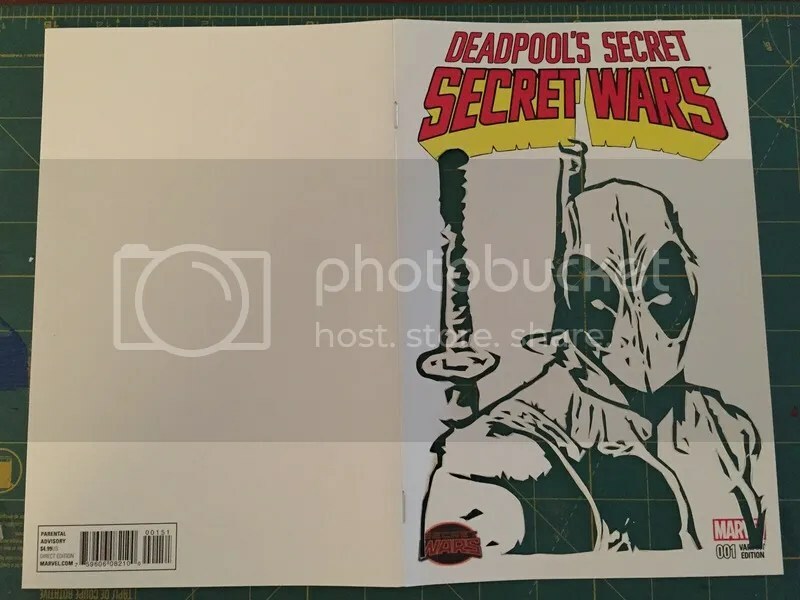 Here’s a little bit of a different take on the blank sketch cover craze that the publishers are currently in. Blanks are pretty awesome ways to get your favorite artist to do a sketch for you at conventions on. 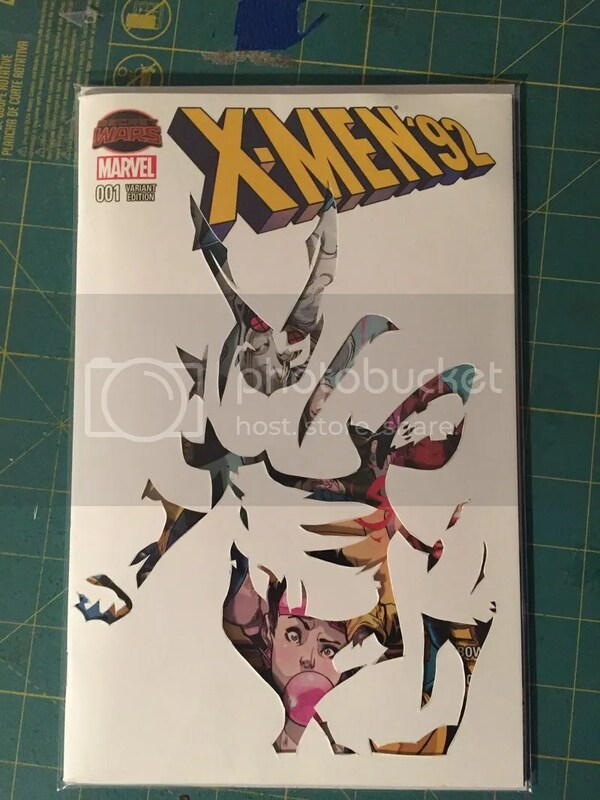 I started cutting them and making hand cut die cut blank variants, I just cut the cover, and the actual cover image provides the color portion of the cutting. Do not arouse the wrath of the great and powerful Oz. I said come back tomorrow. 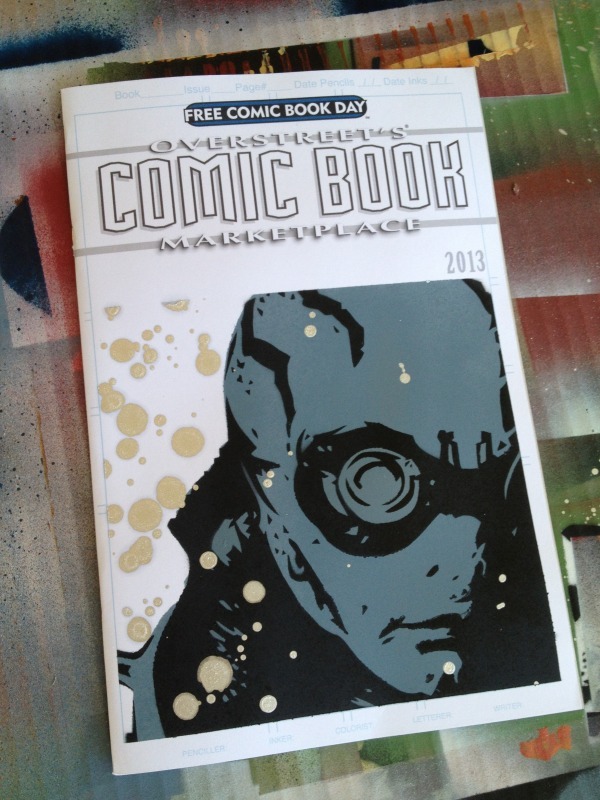 Free Comic Book Day was May 4th. 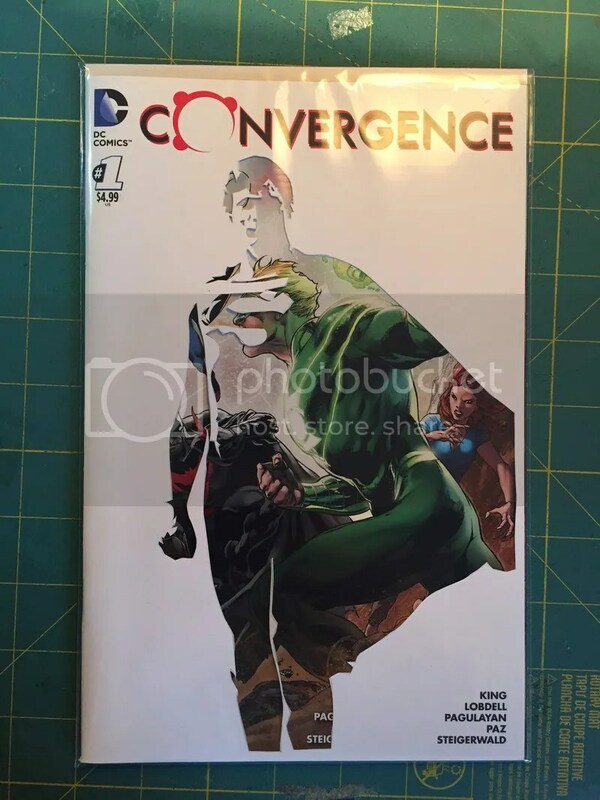 Found a neat little comic shop in Fort Worth called Collected, if you’re in the area, stop by and check out the shop. 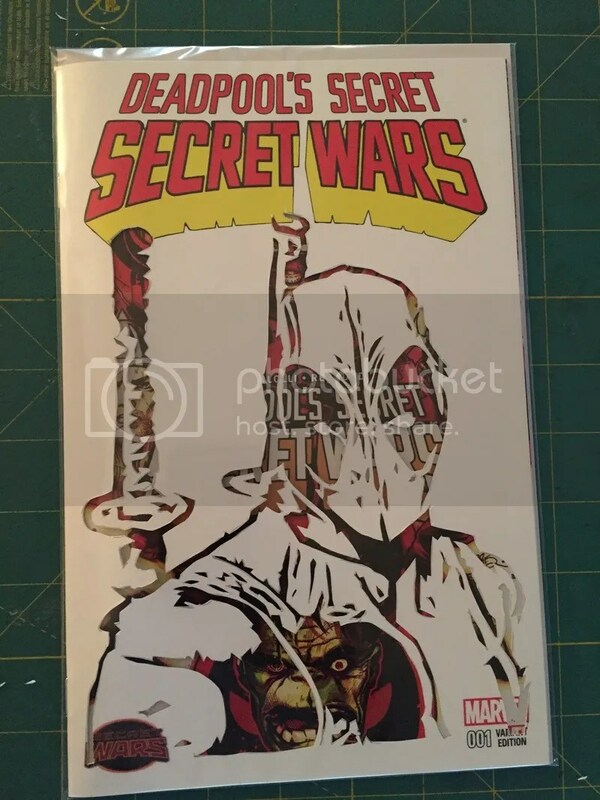 It’s pretty neat. 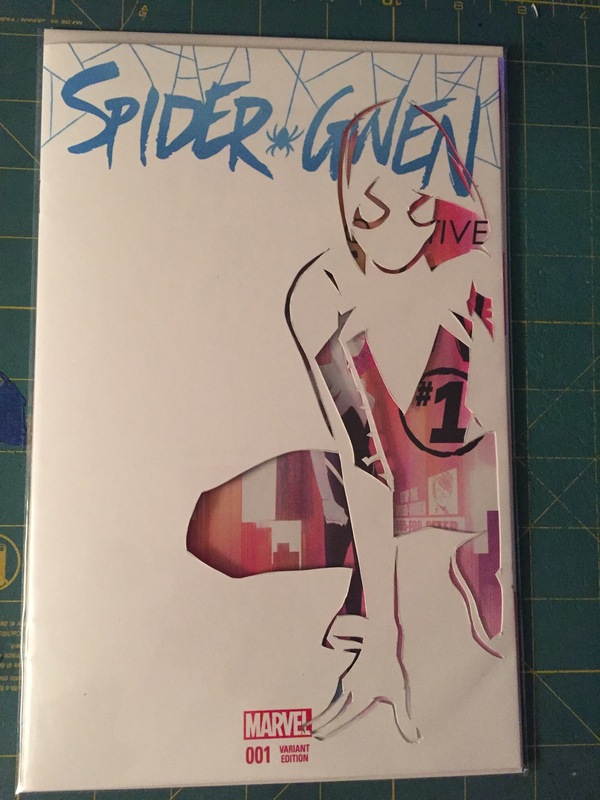 Picked up a few books from them, and they actually had a FCBD blank. 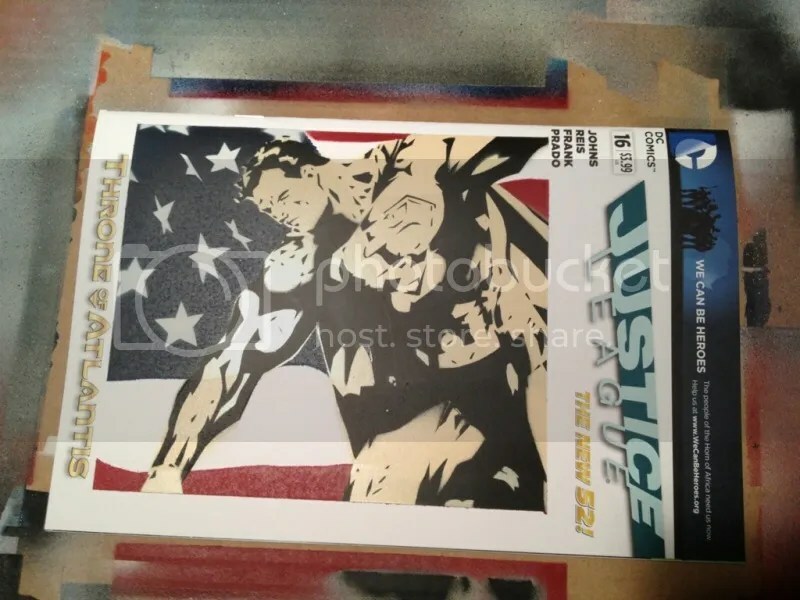 And I went ahead and painted on it. I give you Abe Sapien. No problem is so formidable that you cant walk away from it. 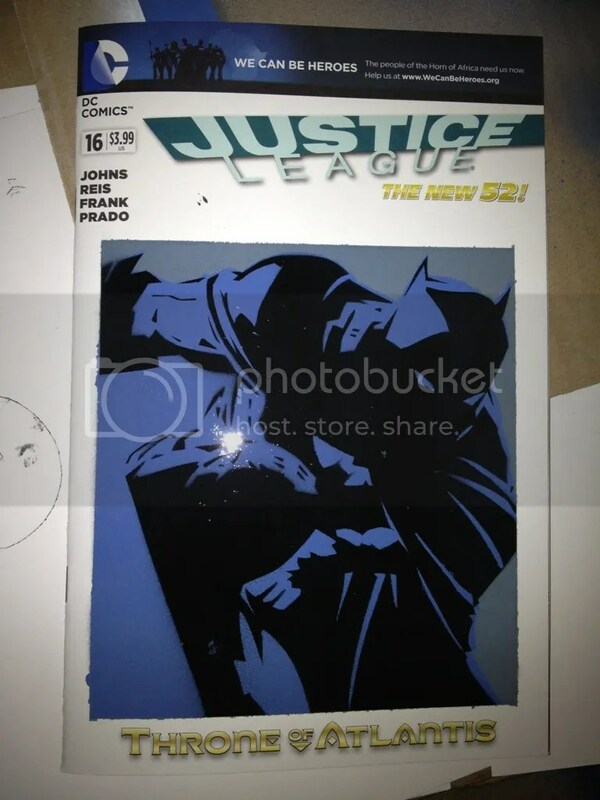 Batman on a Justice League blank cover.